Twitpic To Shut Down on October 25th. Backup Your Pictures Now. 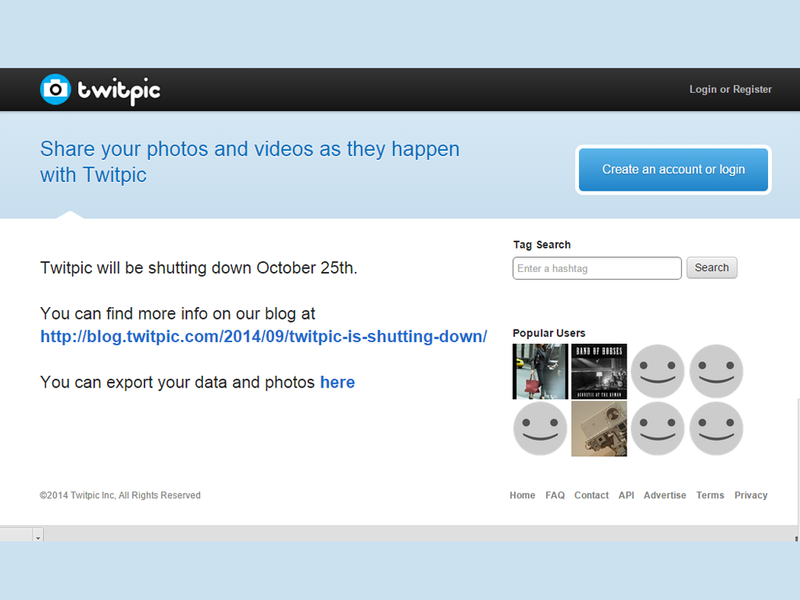 Twitpic re-announced through a blog and twitter post that it is shutting down on October 25th. The photo-sharing site initially made the shutdown statement on September 4th. After two weeks, September 18th to be exact, it claims that Twitpic has been acquired and it will continue to operate. On October 16th, Twitpic took back the latter statement and announced again that it will officially shut down, and this time it's final. The issue started when Twitter threatened legal action for infringing its trademark. According to Everett, "A few weeks ago Twitter contacted our legal demanding that we abandon our trademark application or risk losing access to their API. This came as a shock to us since Twitpic has been around since early 2008, and our trademark application has been in the USPTO since 2009." "Unfortunately we do not have the resources to fend off a large company like Twitter to maintain our mark which we believe whole heartedly is rightfully ours. Therefore, we have decided to shut down Twitpic. ", he added. "It’s with a heavy heart that I announce again that Twitpic will be shutting down on October 25th. We worked through a handful of potential acquirers and exhausted all potential options. We were almost certain we had found a new home for Twitpic (hence our previous tweet), but agreeable terms could not be met. Normally we wouldn’t announce something like that prematurely but we were hoping to let our users know as soon as possible that Twitpic was living on. I’m sincerely sorry (and embarrassed) for the circumstances leading up to this, from our initial shutdown announcement to an acquisition false alarm."